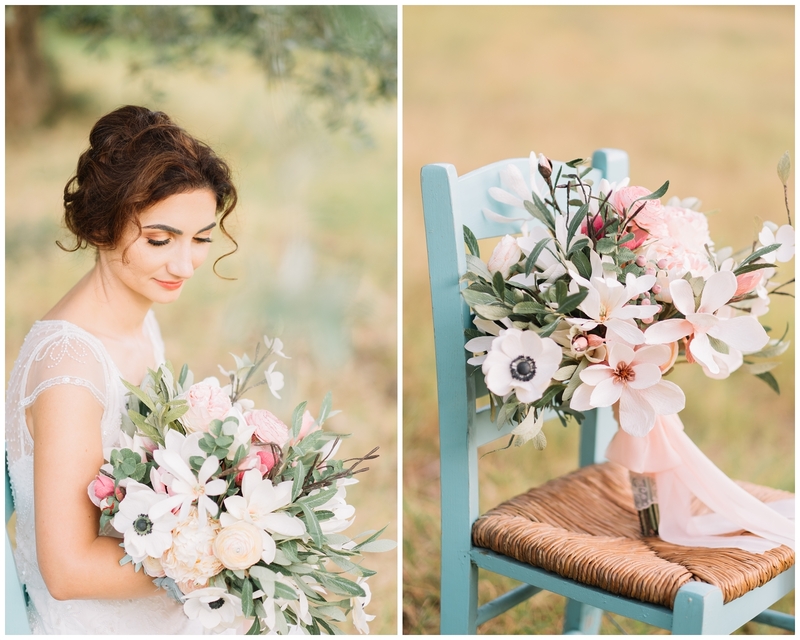 Luisa and her magnolia bridal bouquet! 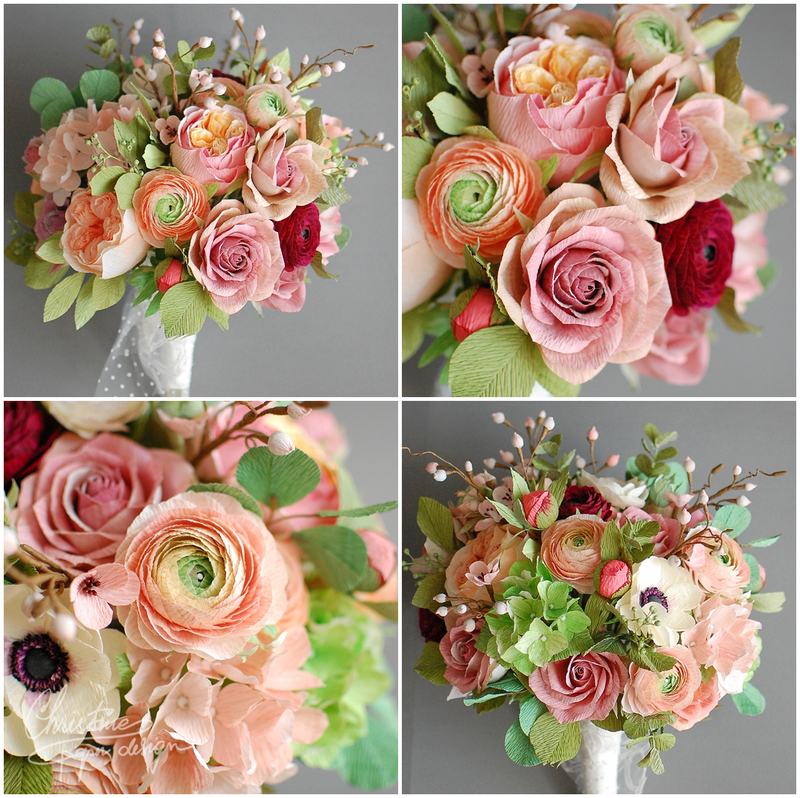 A colection of some of my beloved bridal bouquets with soft color themes and complex mix of flowers! 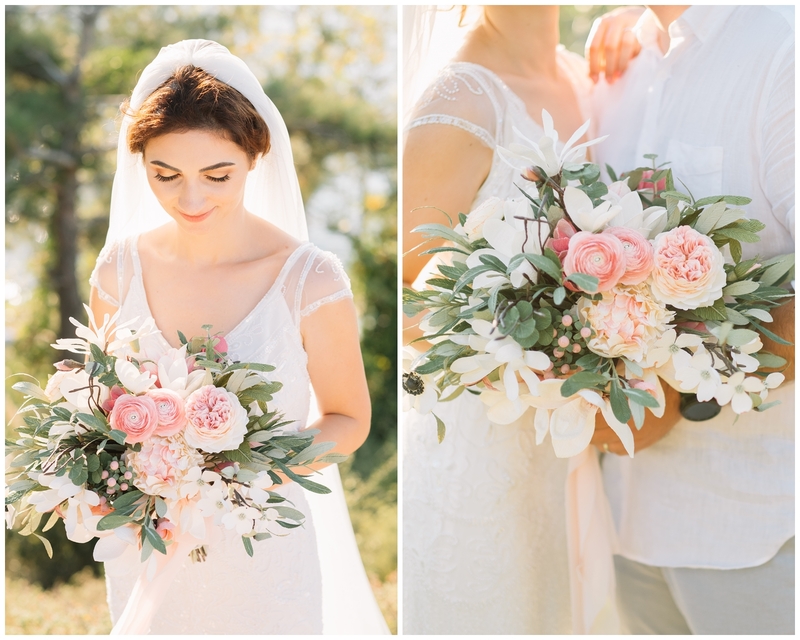 Beautiful Tally and her unique bridal bouquet! 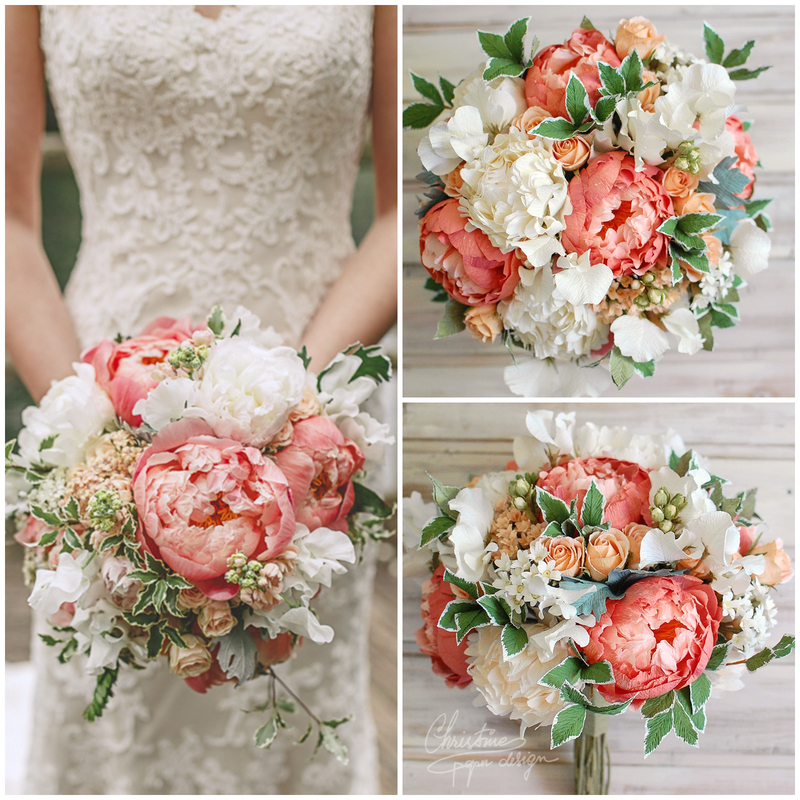 Coral charm peonies in a bridal bouquet recreation! 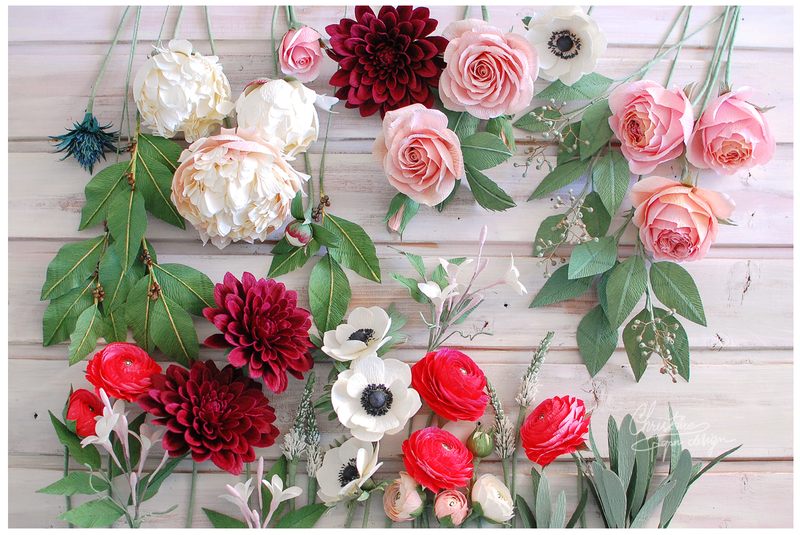 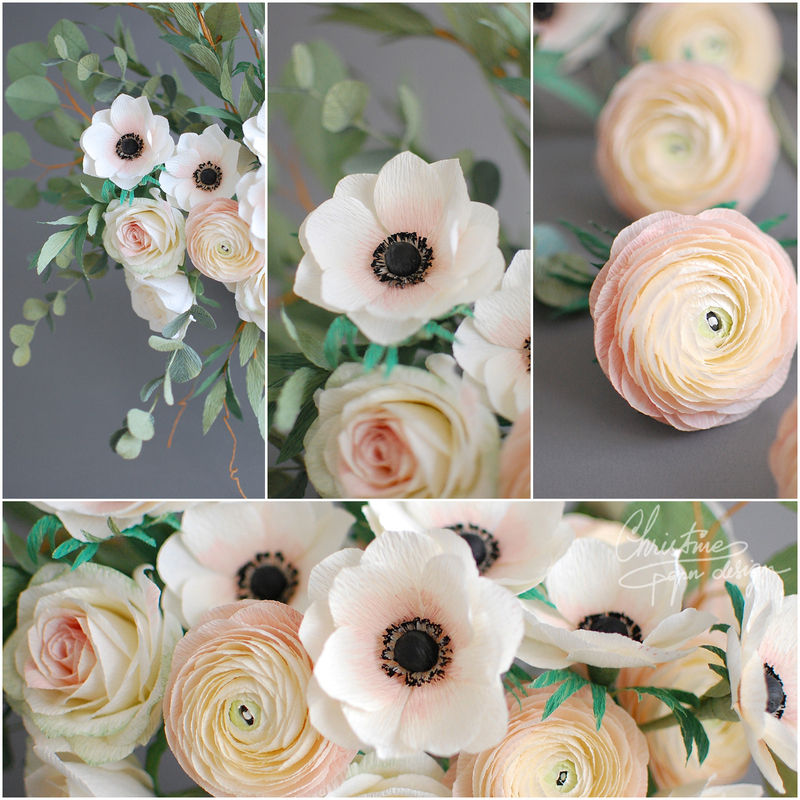 Ranunculus, peonies and dahlias… just a few of my favorite flowers! 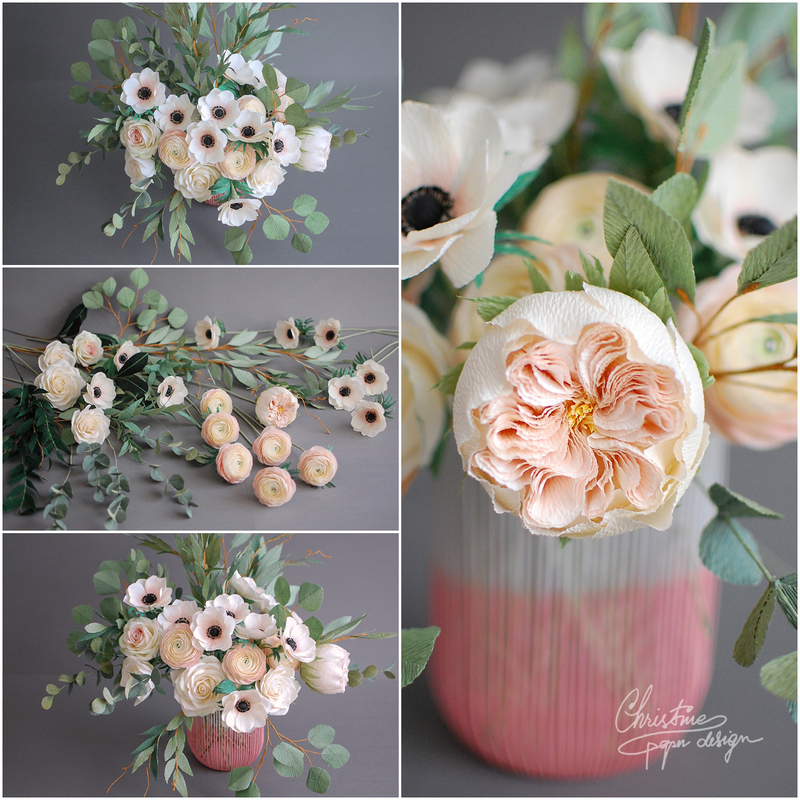 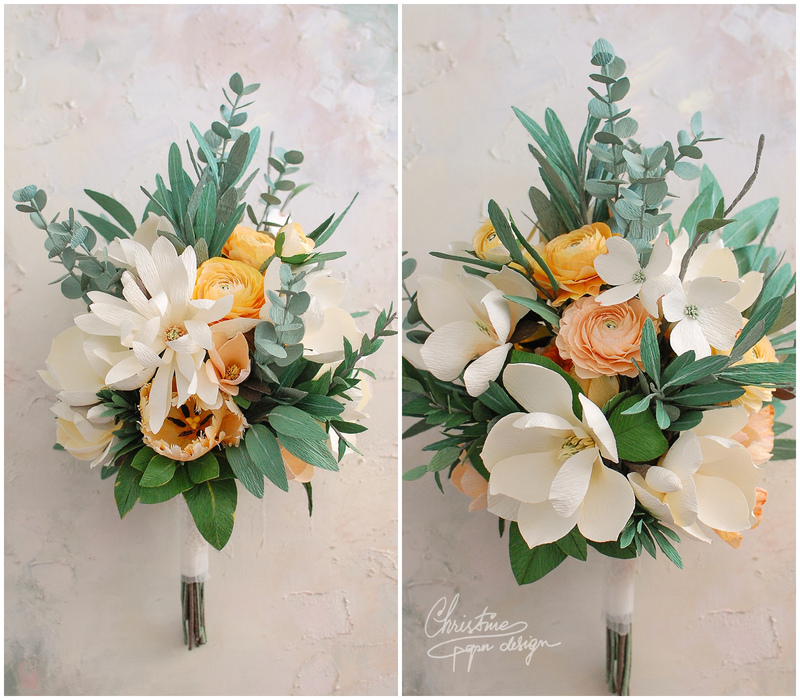 Christine on Paper protea… one of my favorite flower to recreate! 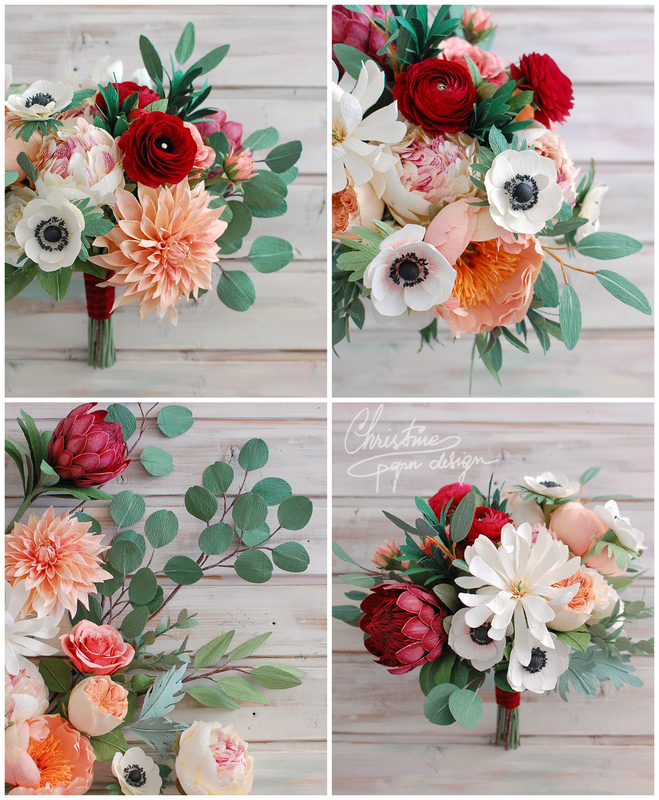 Amanda on Paper protea… one of my favorite flower to recreate! 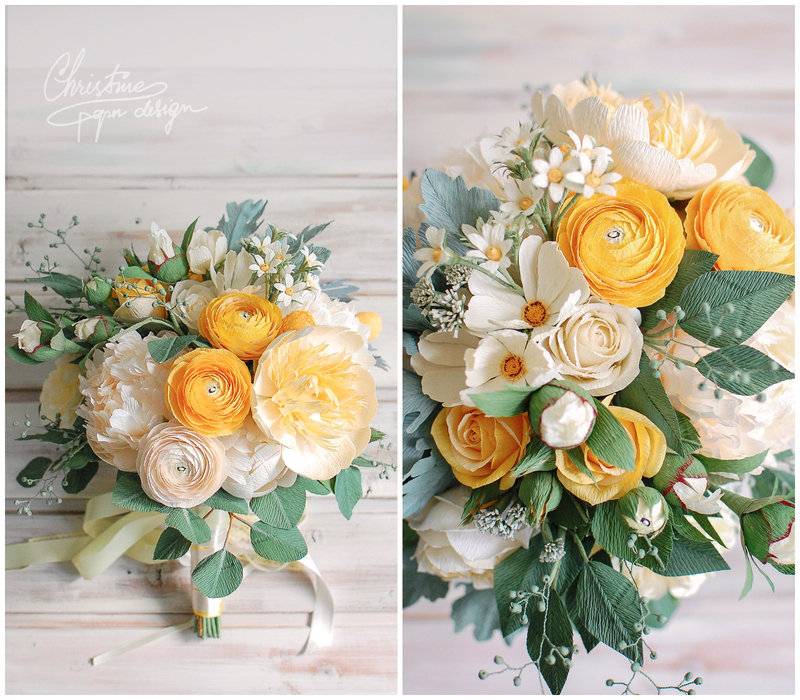 Luisa’s bridal bouquet was one of my all time favorite wedding projects. 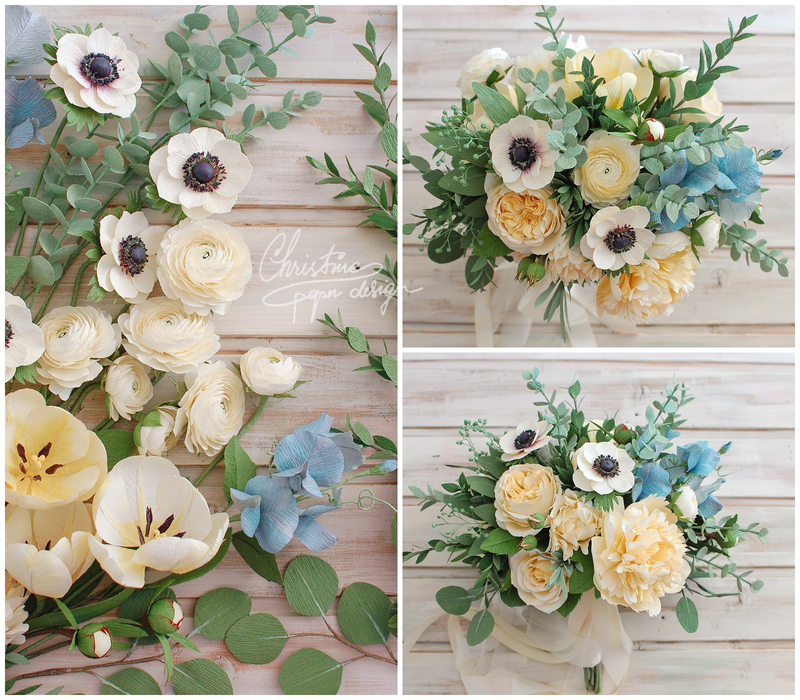 She had her wedding in Greece and we used that as a inspiration for the bridal bouquet and wedding candles. 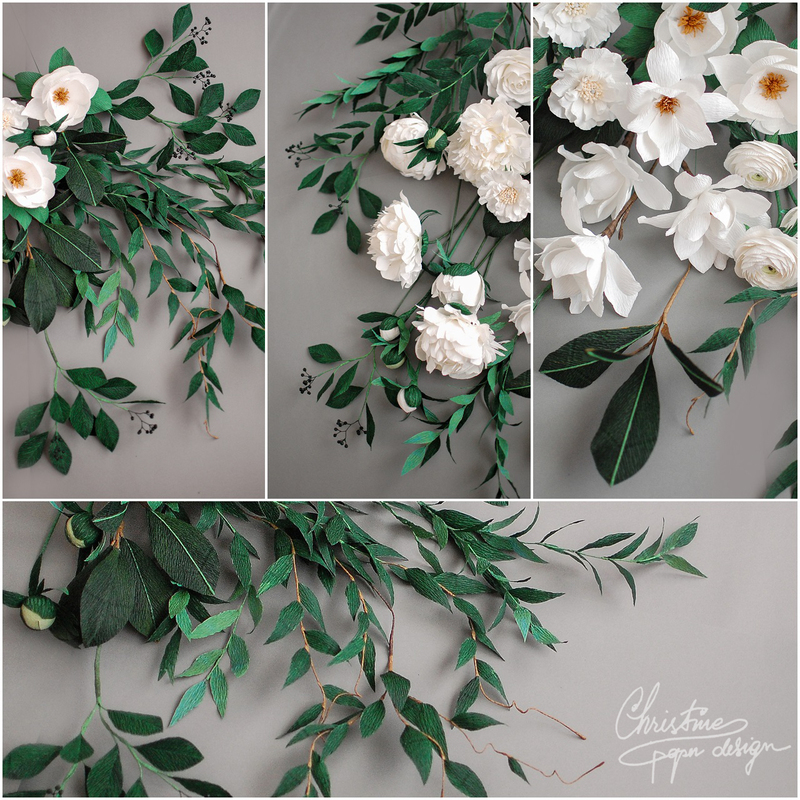 The main theme was magnolias and olive leaves… she was so beautiful and these amazing photos by DeersPhotography captured the moment perfectly! 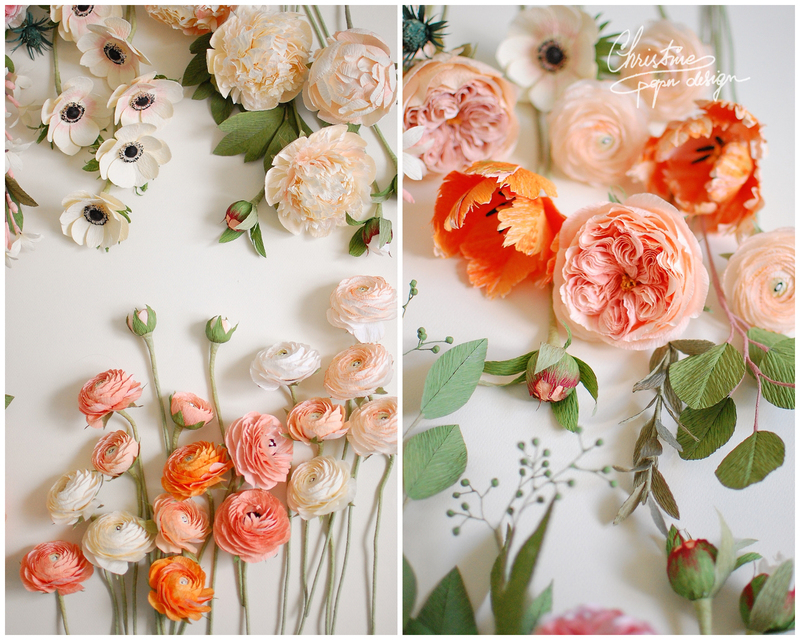 Follow the wedding story here. 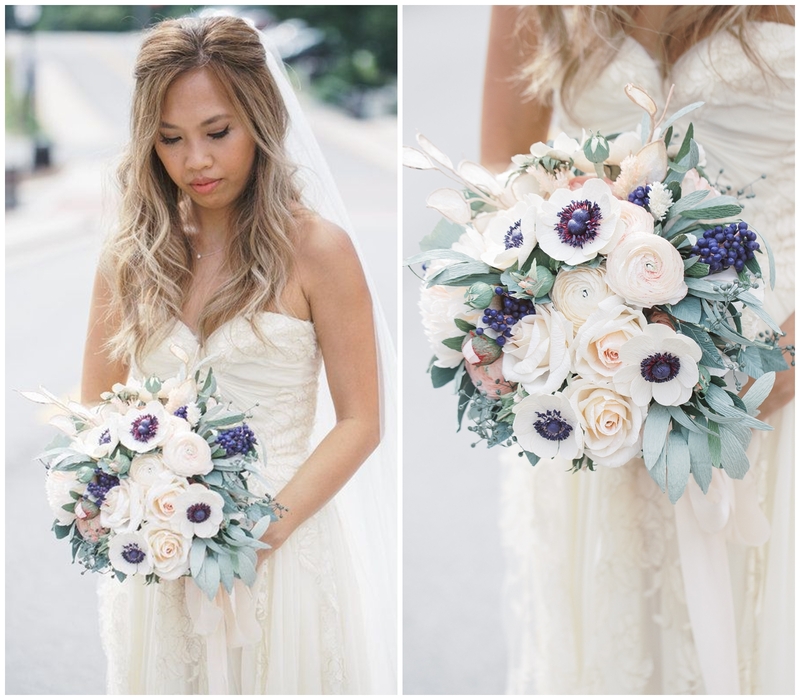 This bouquet was designed to fulfill the bride’s vision of the perfect wedding bouquet: purple centered anemone, sage leaves, navy berries, lunaria and soft pastels. 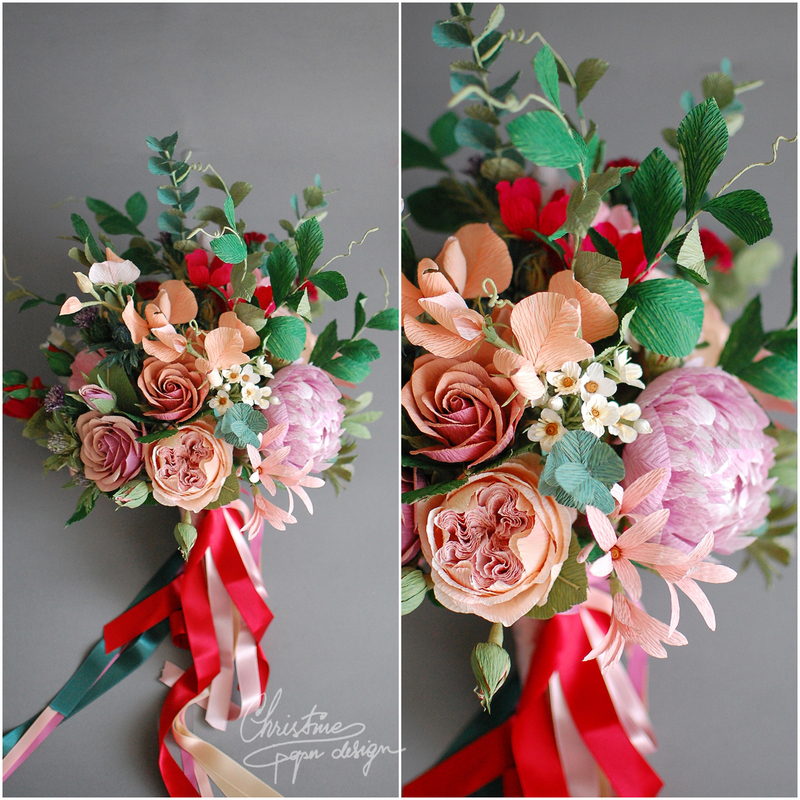 I often make bridal bouquets having as an inspiration a real bouquet… also I love to make recreation of real wedding bouquets if I find them beautiful and inspirational… so if you wish to hold your bridal bouquet one more time, for years to come, let me know! 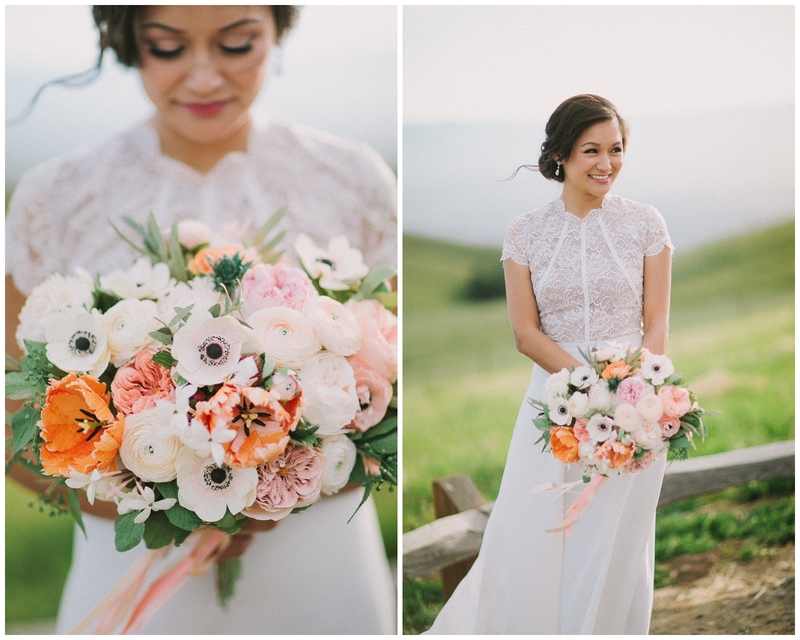 Beautiful Jen from California and her amazing wedding bouquet! 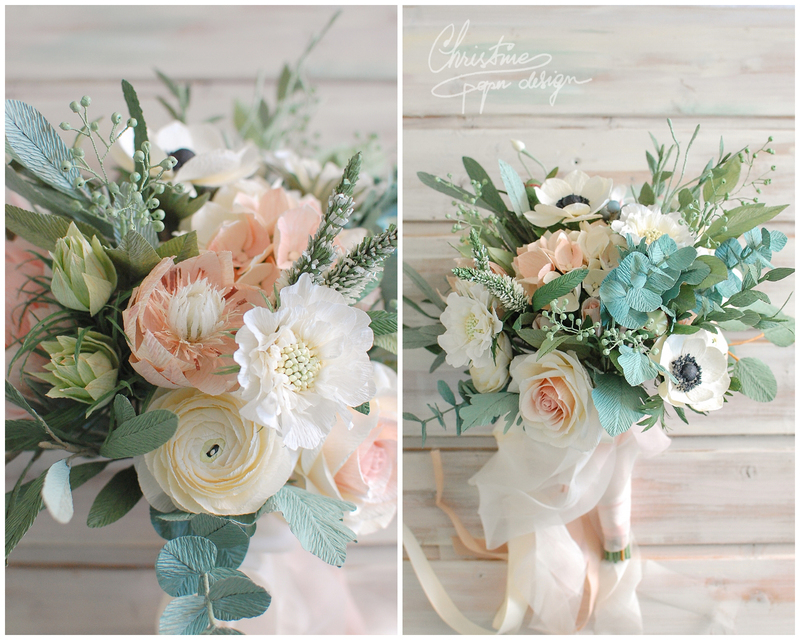 I fell in love with this sweet face and her soft color theme for the perfect bridal bouquet! 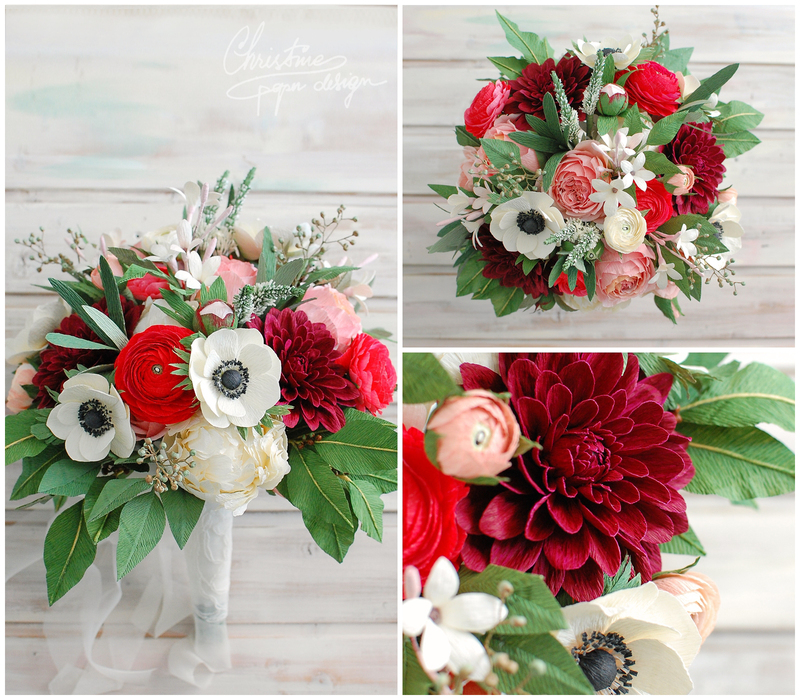 Paper flower bridal bouquets with red. 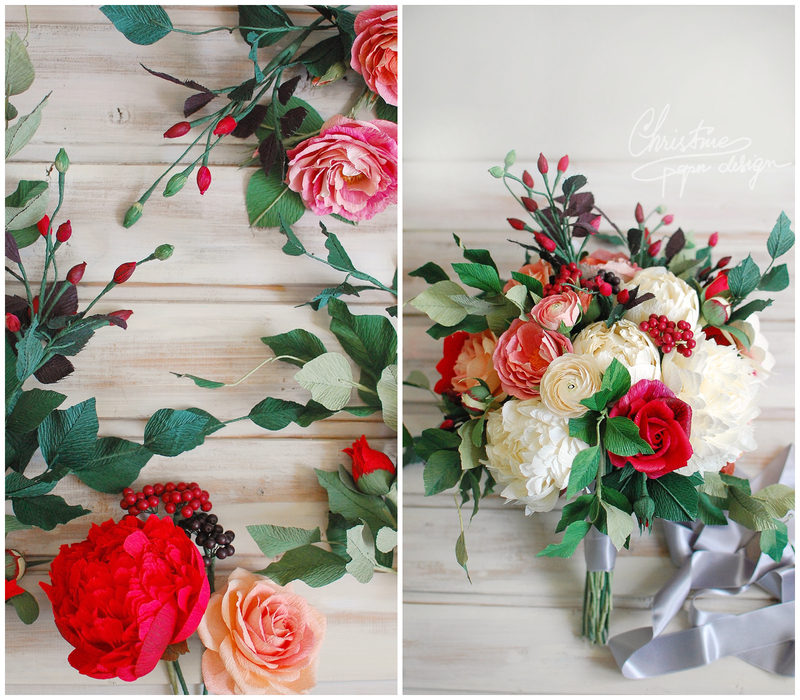 I’m not a big fan of red but I had the most amazing time creating these lovely bouquets, with vibrant color themes, sophisticated flower mix and a red flowers as the main caracter. 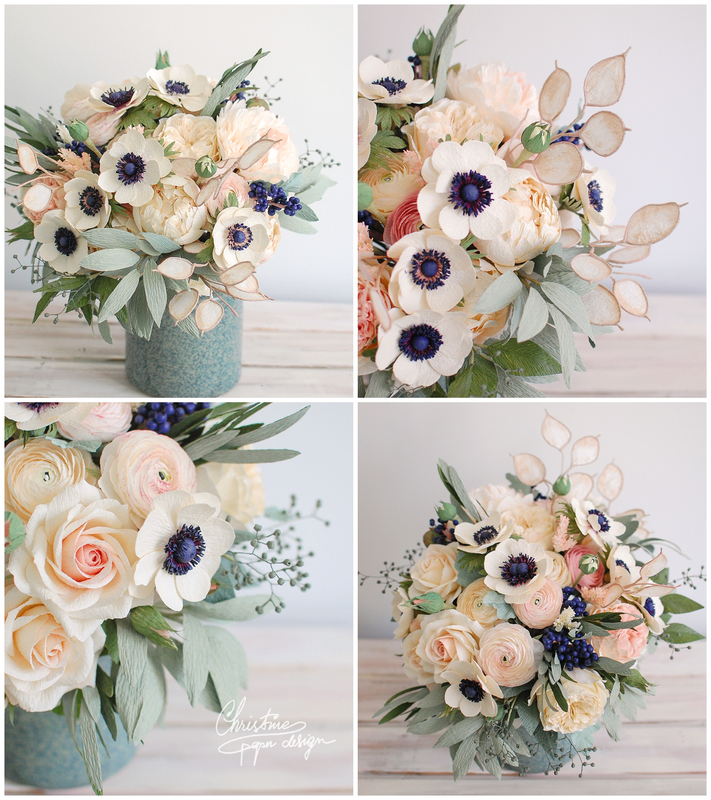 A bridal bouquet with lots of anemone and ranunculus! 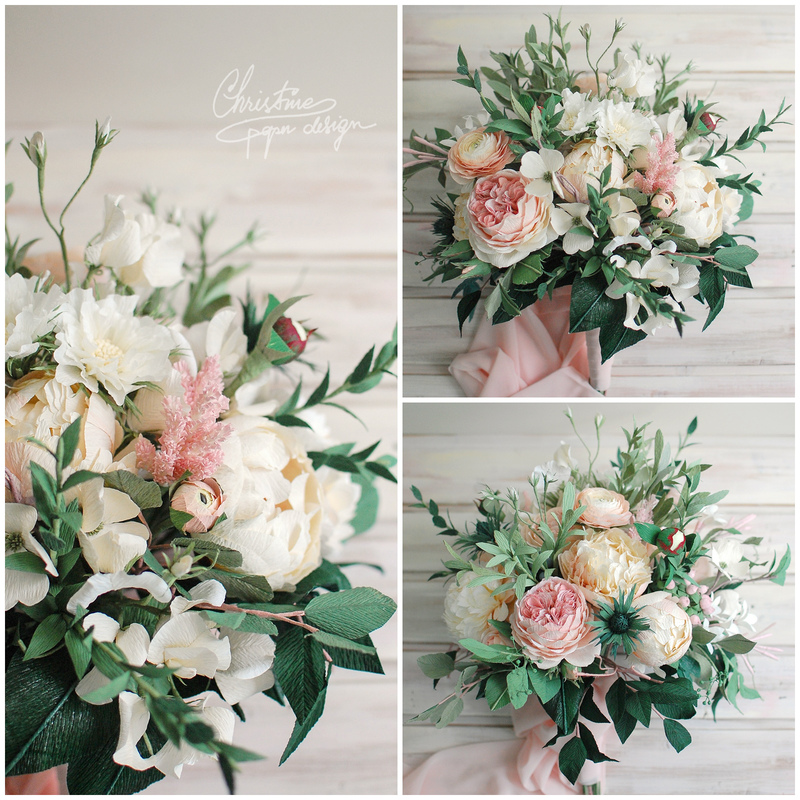 I had the privilege to make this amazing bridal bouquet, big and luscious, for a wedding in the south of France and a bride called Marpesa – such an unique and beautiful name! 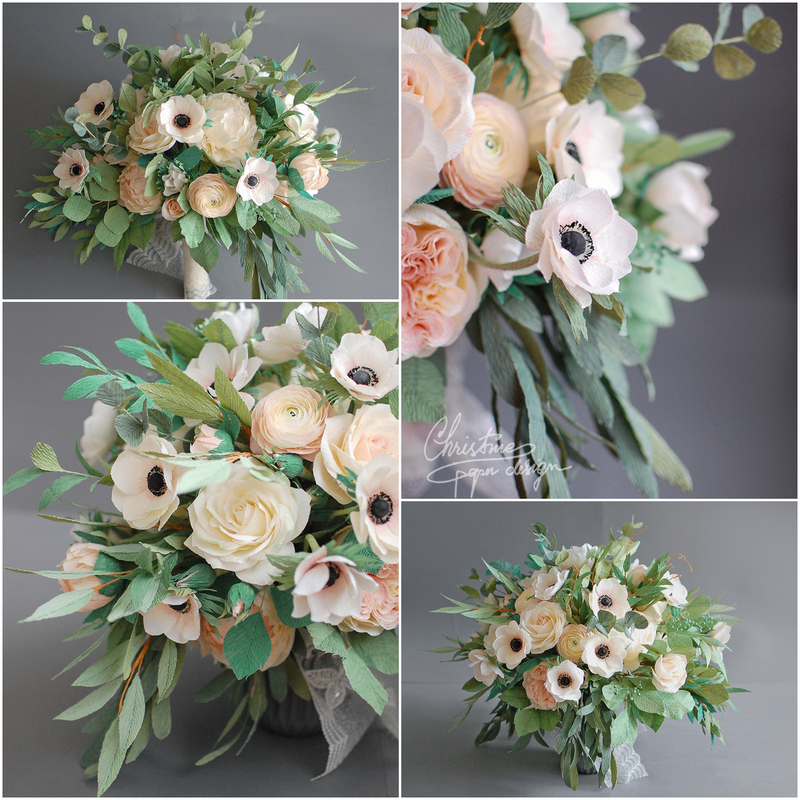 She wanted a bouquet with lots of anemone, ranunculus, peonies, roses and greenery. 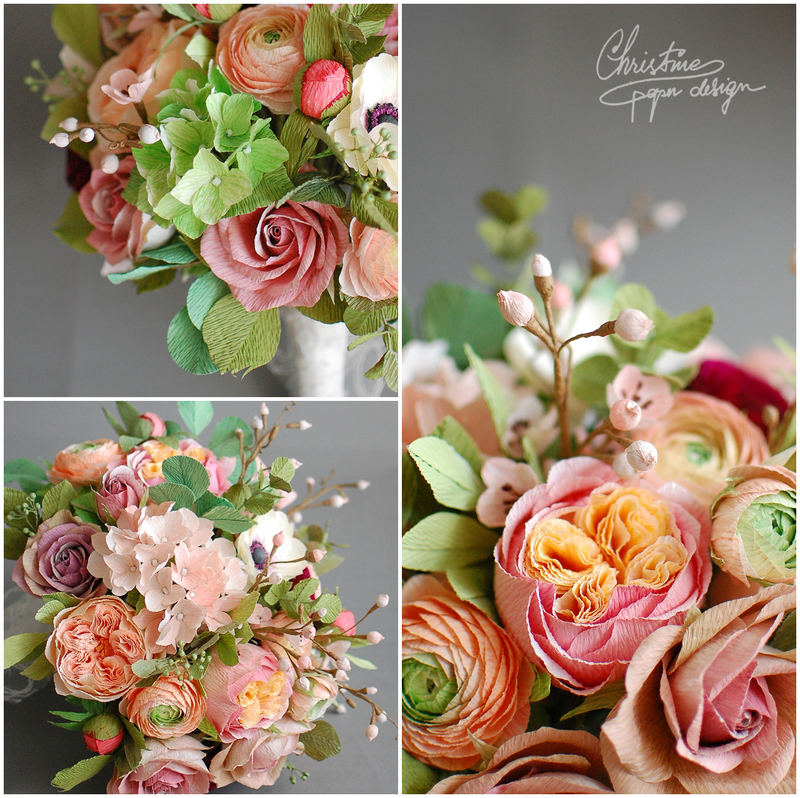 I will always cherish the memory of this experience and the process of making this bouquet for her. 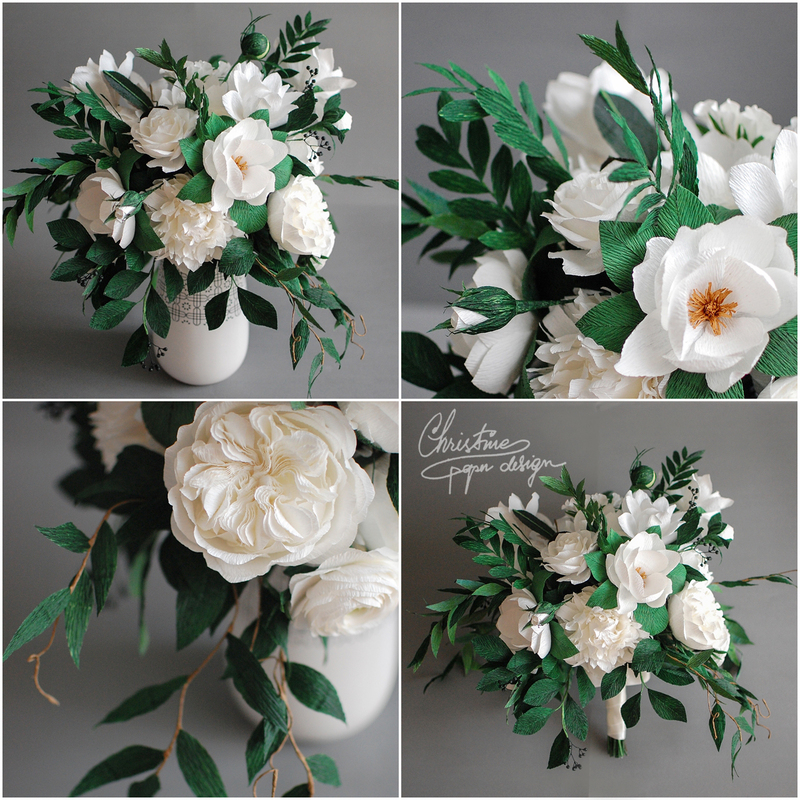 Simple, elegant and classical white and green bridal bouquet! 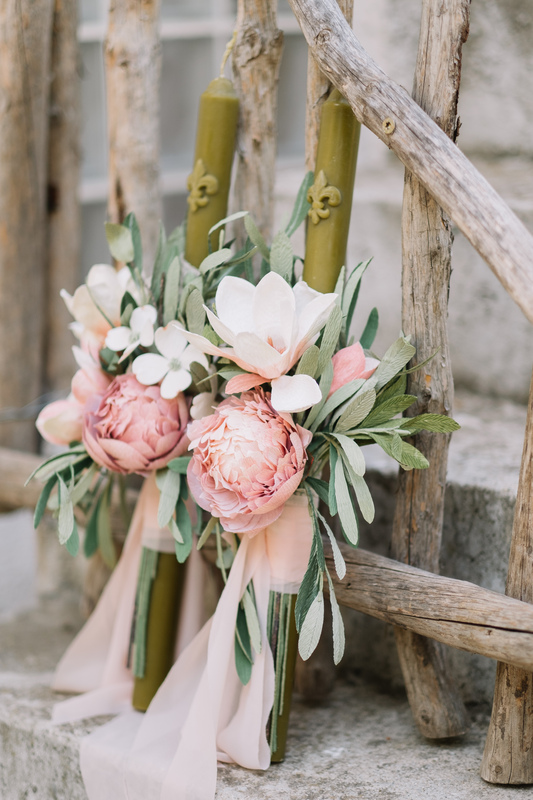 When it comes to wedding flower combinations, the possibilities are so diverse but sometimes, the simple ones are the most elegant and classy. 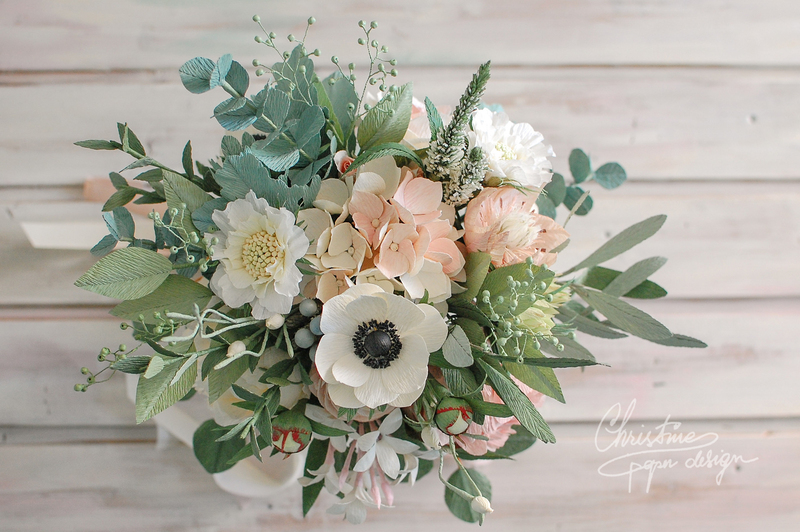 This is a bridal bouquet with white flowers – peonies, magnolias, roses, ranunculus and other beauties, and lots of dark green leaves. 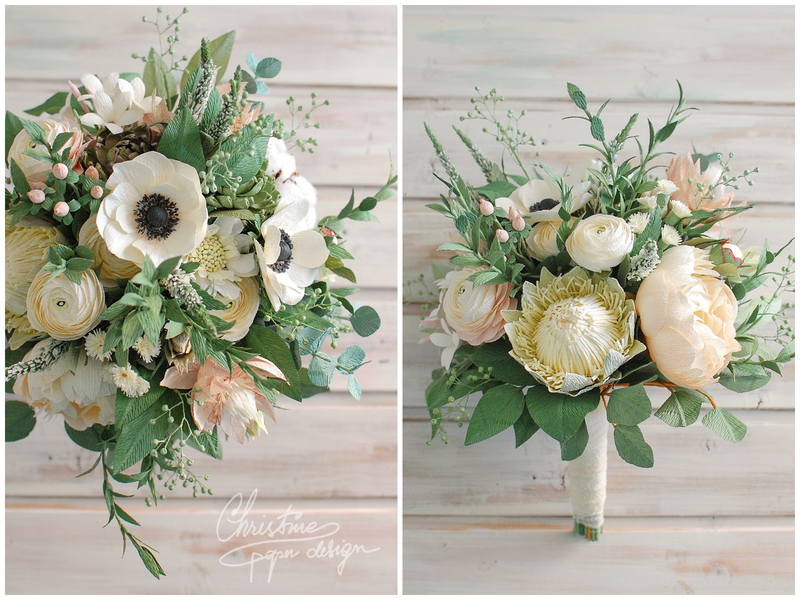 A bridal bouquet for a lifetime! 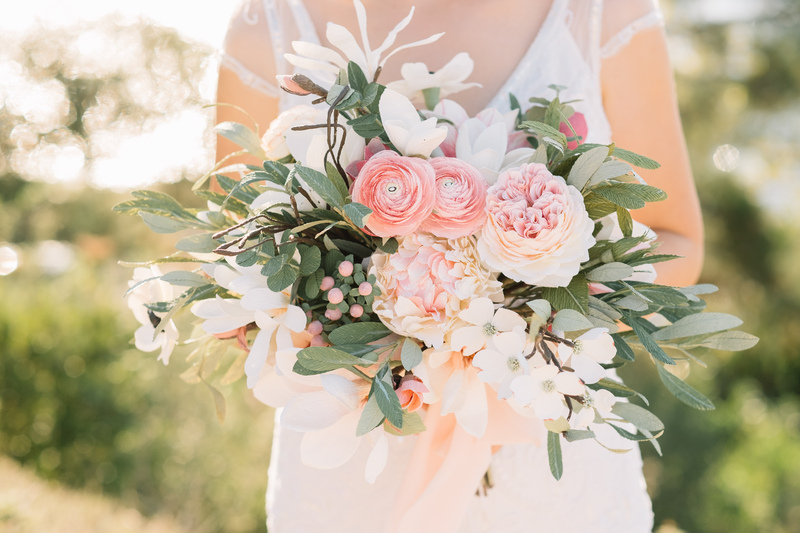 I love it when brides give me creative guidelines for the bouquet and Crina knew exactly how the perfect bouquet should look. 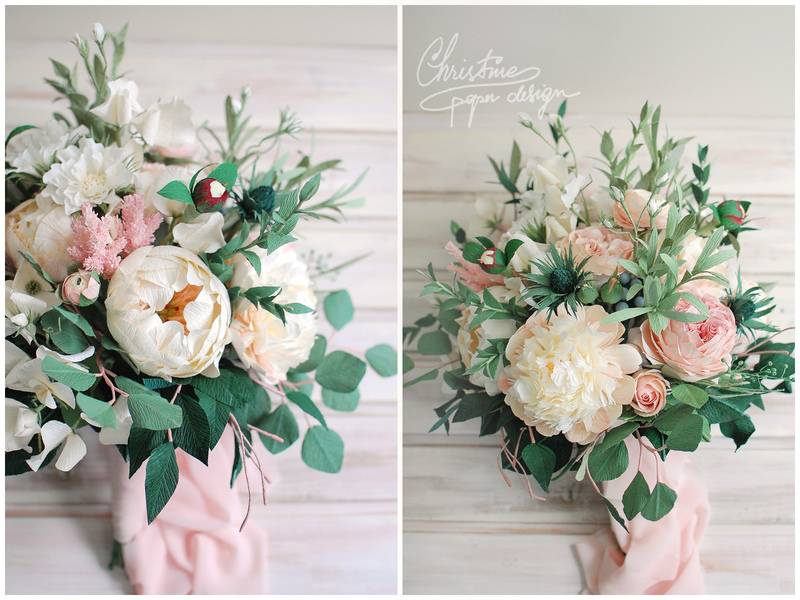 She found inspiration in the colour palette of her outfit and let me create around it! 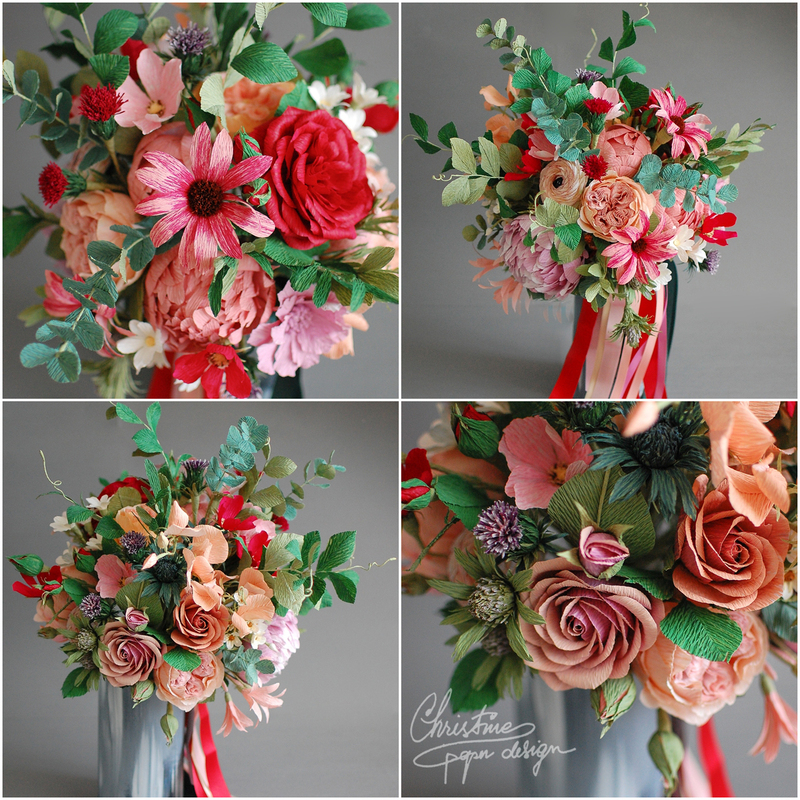 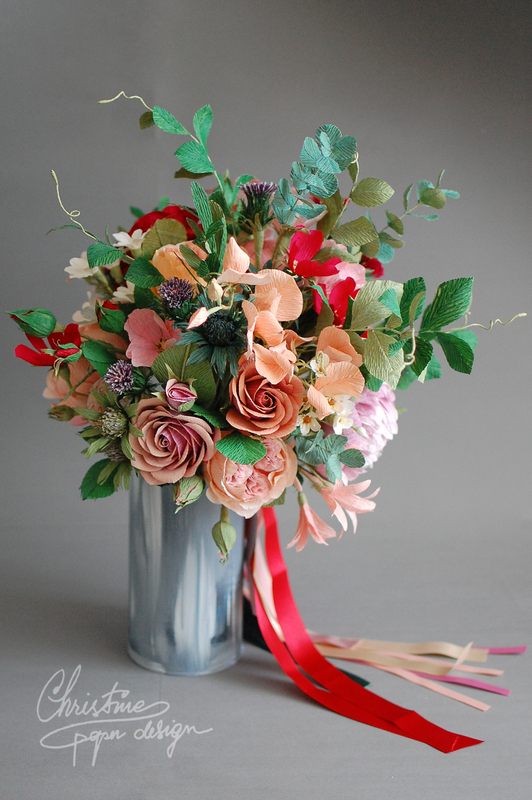 It was such a joy for me to be able to make such a diverse range of flowers and dusty, pastel colours with the touch of strong red and green. 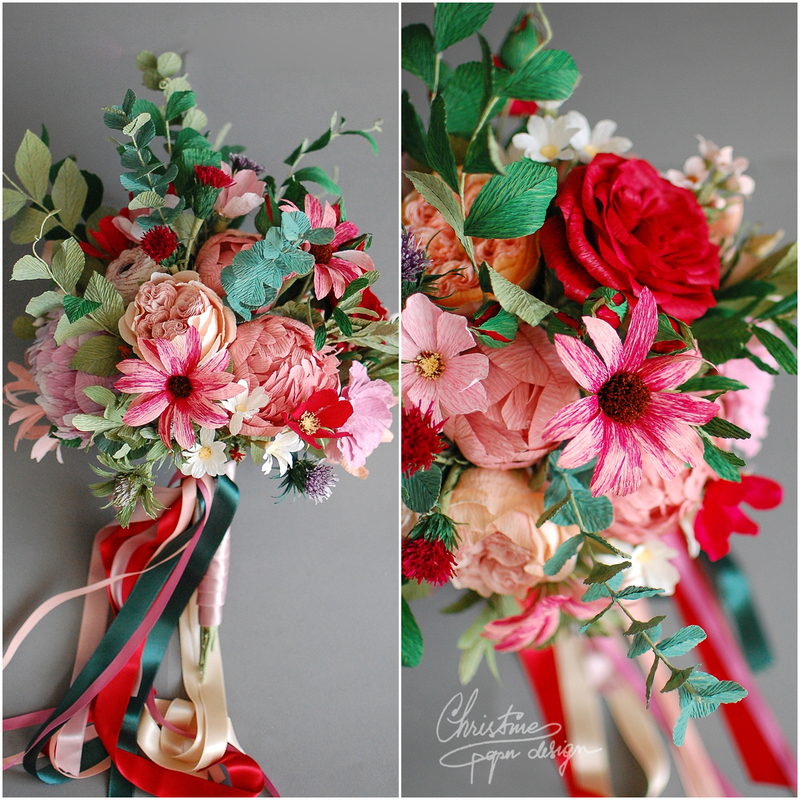 I will have an eternal love for this bouquet! 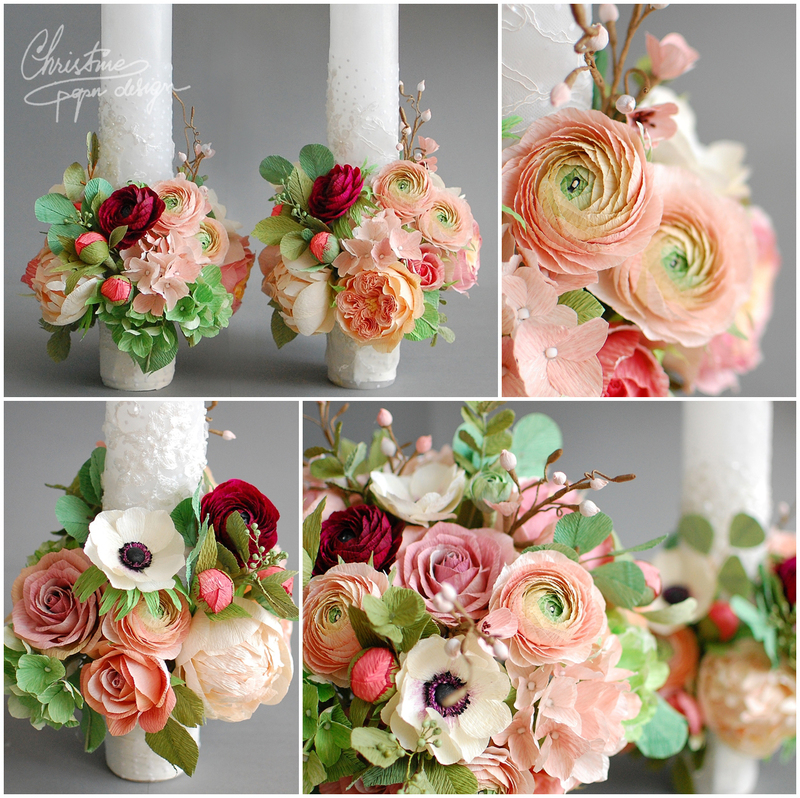 It will be a chalange if I have to make it again for a diferent bride! 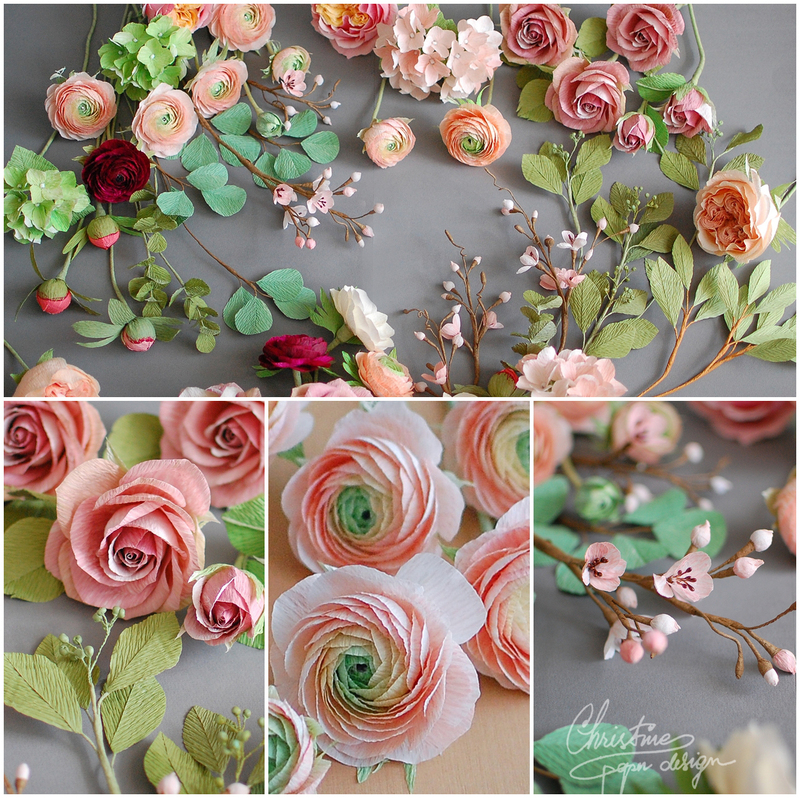 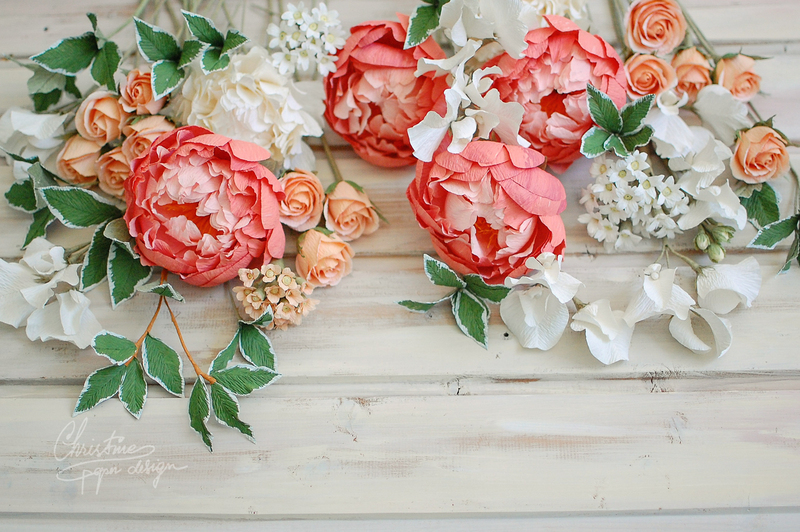 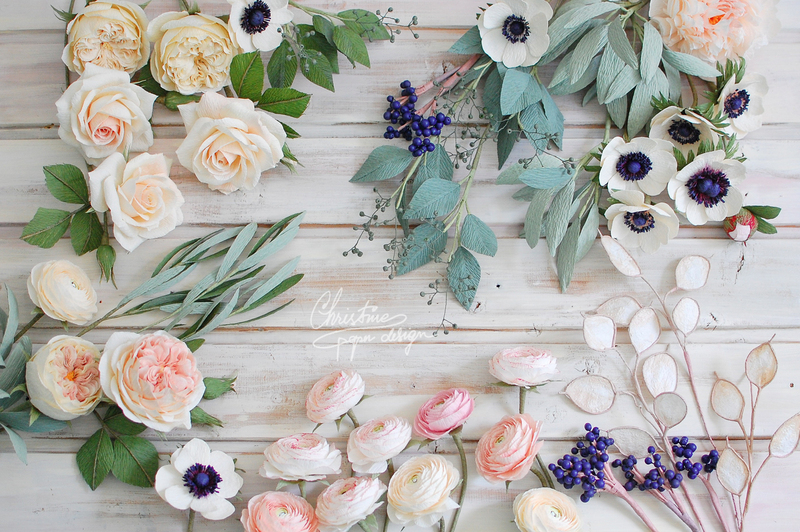 Paper flowers for a fairytale wedding! 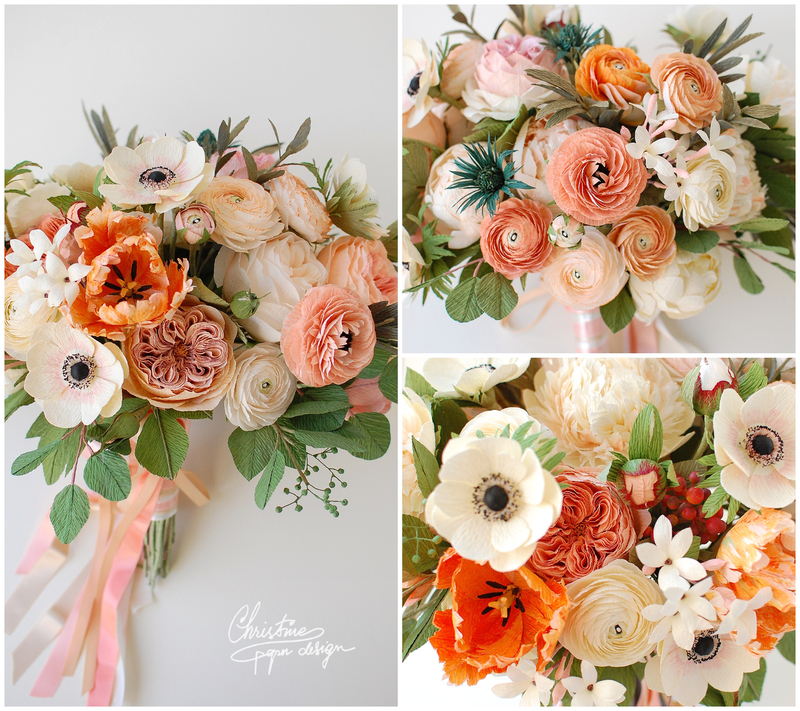 This paper flower project was so dear to me – a bridal bouquet and wedding candles, for a sweet bride who designed this palete of flowers and colours herself. 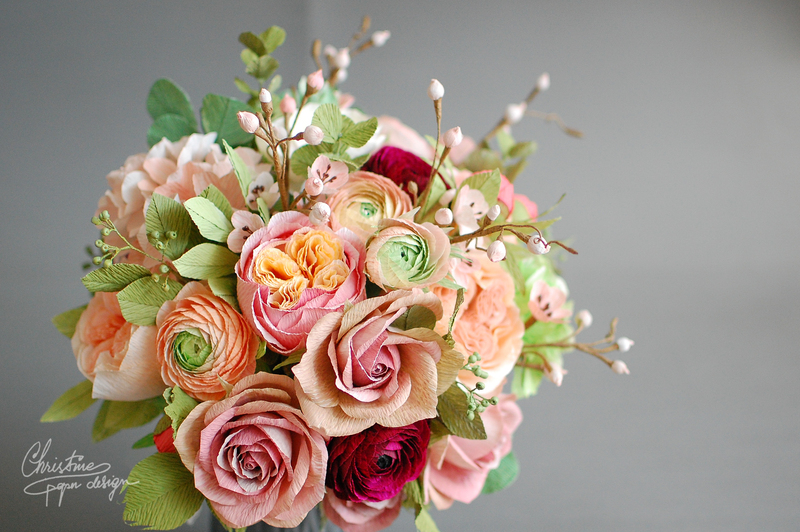 I only materialized her vision and the result was… like a fairytale! 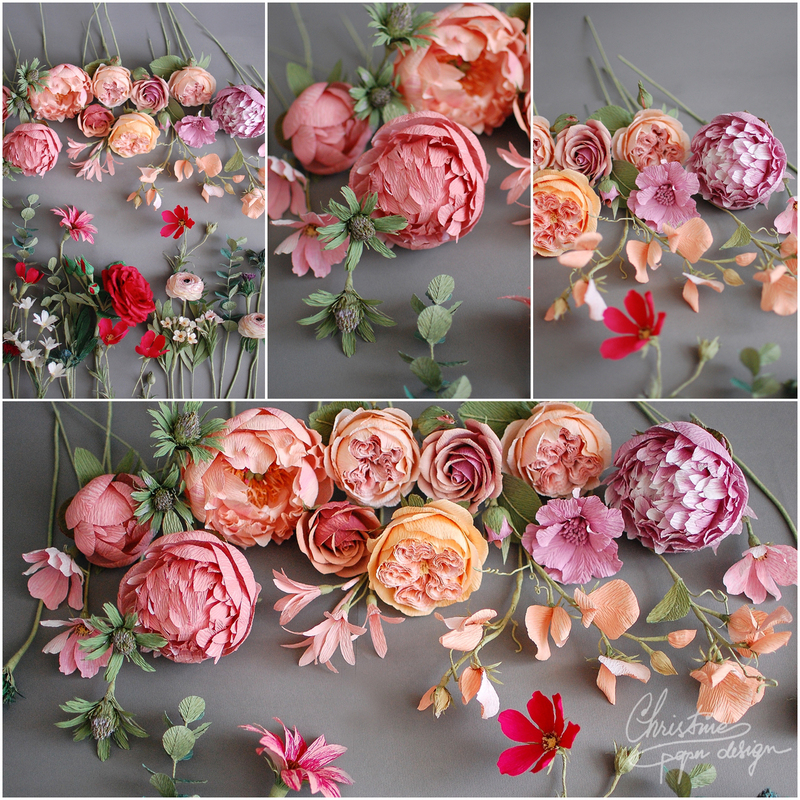 Rainbow ranunculus, dusty pink roses, bright green and pale pink hydrangeas, cherry blossom, salmon pink juliete garden roses, white anemone, bright pink peonie buds and dark red ranunculus… such a diverse but stunning combination!